Clothing allowance of Regions CAR,1,2,3,4B,6,7,8,10 and 13 are already released to Land Bank of the Philippines. May problema daw po sa system ang ilang Land Bank kaya di ma credit agad. 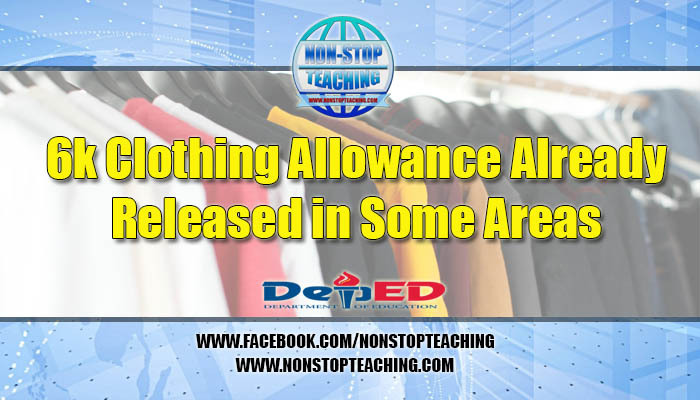 Clothing allowance update as of April 4, 2019, 3:05pm. The statement from ACT NCR Union. Read it here.